HELP is on the way for struggling Barangay Ginebra. A source told Spin.ph on Monday that the Gin Kings are set to acquire veteran Barako Bull big man Dorian Pena in a three-team trade that will also involve San Miguel's Justin Chua and the JR Reyes. 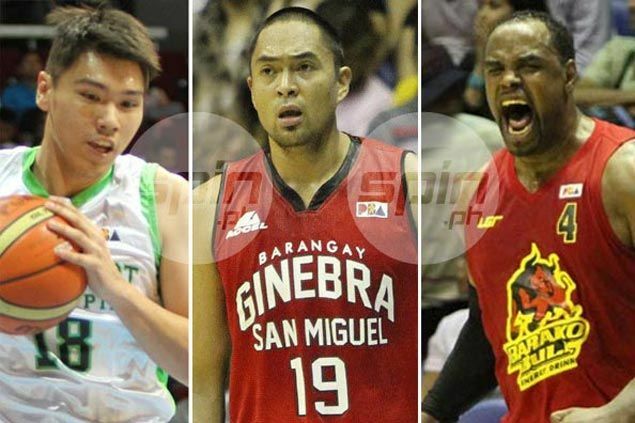 The three big men will switch places in a deal that will see Reyes moving from Ginebra to San Miguel, Chua going to Barako Bull from San miguel and the hulking Pena leaving Barako for Ginebra, the source added. The papers for the deal are on their way to the PBA office at posting time for Commissioner Chito Salud's approval. Pena, who has battled injuries for most of the past two seasons, is expected to add muscle and size to a Ginebra frontline that sorely needs an import stopper inside the paint. The 37-year-old Fil-Am is back in full health after playing in just two games in the last Philippine Cup. On the other hand, Reyes had an impressive 2014 season but has since fallen out of Ginebra's main rotation during the watch of former coach Jeff Cariaso. He is now set to crowd Doug Kramer in the role as June Mar Fajardo's chief back-up.